This nutrient-intensive moisturizer contains a clinically-studied, proprietary apple stem cell complex designed to actively combat the signs of aging skin, helping to minimize the appearance of fine lines and wrinkles. It also contains high concentrations of argan oil–a rare plant extract from Morocco rich in vitamins, minerals, lipids, antioxidants, as well as extracts from apple seeds and peel. results: Hydrates, protects, nourishes, combats the visible signs of aging skin including fine lines and wrinkles. 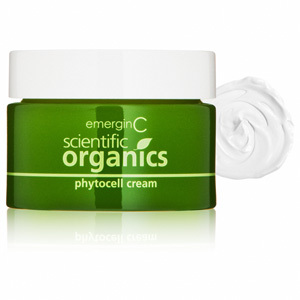 active ingredients: Apple stem cells, argan oil, jojoba oil, cactus extract, hyaluronic acid, olive oil, green tea. 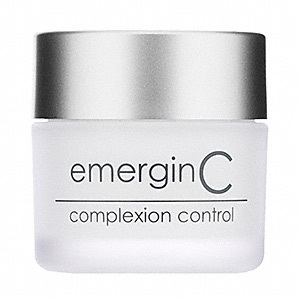 application tips: May be worn over other emerginC serums or creams. This rich, nourishing, hydrating cream combines the super-potent “master antioxidant” alpha-lipoic acid, coenzyme Q10 and lutein. Alpha-lipoic acid is an essential lipid and water soluble cellular energizer that can revitalize “spent” vitamins and antioxidants such as vitamins C, E and coenzyme Q10, as well as a potent anti-inflammatory. Coenzyme Q10 is a powerful antioxidant, anti-inflammatory and cellular energizer that provides the “spark” in all cellular processes. Lutein is a plant-based potent antioxidant and protector against UVB sun damage. Other ingredients include a state-of-the-art nanotope delivery system, vitamin H, hyaluronic acid and more. skin types: All skin types. Excellent for sensitive skin. results: Fights free-radical damage, antioxidant, cellular energizer, anti-inflammatory, hydration, improves tone and texture. active ingredients: Alpha-lipoic acid, coenzyme Q10, lutein,liposomes, hyaluronic acid, borage seed extract, meadowfoam extract, shea butter, vitamin C, vitamin E, vitamin H.
application tips: Use over any of the emerginC serums or blend with complexion perfection. A lightweight, hydrating moisturizer that helps balance excess oil production, control acne breakouts and moisturize skin. skin types: Oily/problem skin types. results: Helps re-balance oil production, improve skin texture and breakouts. active ingredients: willow bark extract, alpine willow bark extract, glycerin. application tips: Apply a small amount to face. 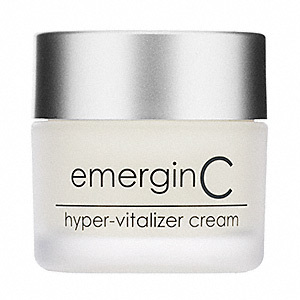 If additional hydration is needed, you may alternate usage with additional emerginC creams. An active effective formulation with key plant extracts, enzymes and a special repair complex to help rapidly diminish redness, repair skin cells, and improve the appearance of broken capillaries. skin type: Red, sensitive skin. results: Helps diminish or eliminate redness, strengthens skin. application tips: For enhanced results, may be followed with hyper-vitalizer face cream. May be used over multi-vitamin serum. An intensive, active, no-needles “line-relaxing” cream to target fine lines and creases all over the face, using clinically studied peptides, micro-collagen, herbal extracts, and a proprietary clinically-studied wild yam/soy formulation. skin types: Those looking for non-surgical, no-needles alternatives to line relaxing. use: Morning and/or night on clean skin. results: Significant reduction of the appearance of wrinkles and fine lines with regular use. active ingredients: Peptides: 10% argirelene, 1.5% matrixyl (micro-collagen pentapeptide), 5% ameliox, 2% myoxinol, wild yam, algae, kelp, soybean extract, oligopeptides, pentapeptides, sweet almond, witch hazel, green tea, niacinimide, inositol, gingko biloba, lactic acid, centella asiatica, licorice root. 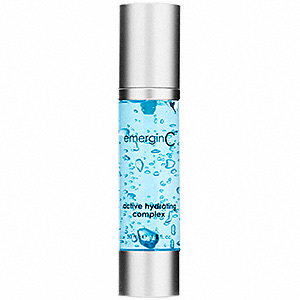 application tips: Prep skin with any emerginC toner. Results are cumulative. For best results, use for at least 30 days. 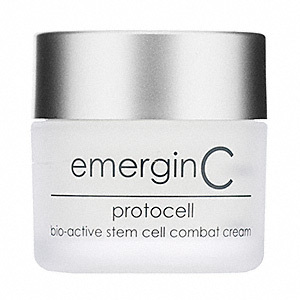 If desired, may be followed with your favorite emerginC cream, but wait a few minutes before applying. A lightweight, oil-free gel moisturizer that helps soothe and hydrate skin. skin types: All skin types. Excellent for oily and sensitive skin. results: Hydrates, soothes, calms, refreshes. active ingredients: Apple extract, aloe vera, vitamin B complex, natural moisturizing factor, matricaria extract. application tips: Great after shaving, in flight, after peel and post-sun. 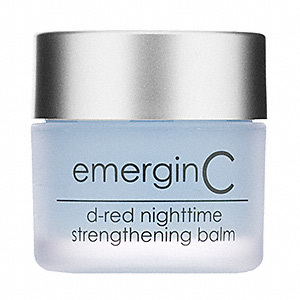 results: Fights free-radical damage, hydrates, protects, and improves tone and texture. active ingredients: Kombucha, grape stem cells, algae extract, glycerin, brightening complex with xylose and galactose from palmaria palmata, green tea, white tea, hydrating complex with glucose and xylitol, food grade seaweed. 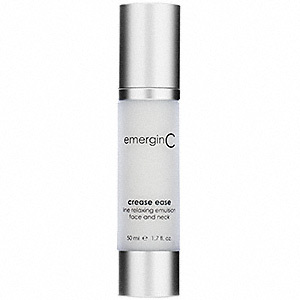 application tips: Apply on clean skin or over emerginC phytocell serum.